Someone sent me this hilarious sign they saw on Facebook. He sent it because this past Friday night I rolled a joint on the square in Oxford, Mississippi, following my reading of Tangles and Plaques at Square Books. 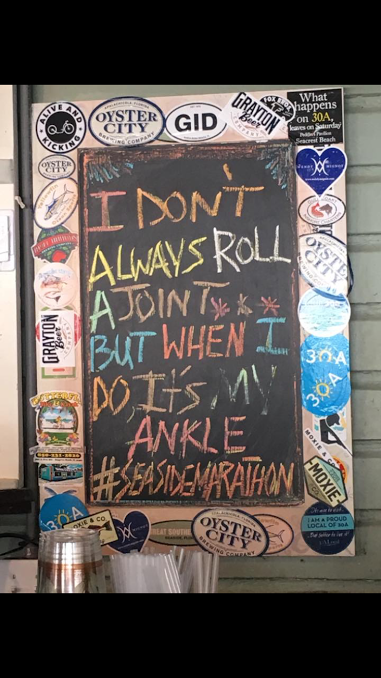 The joint was my left ankle. I had gone to dinner with a group of folks following the reading (with over 80 in attendance at Square Books!) and was walking back to my car when I missed the edge of a curb and fell. Thankfully I didn’t break a hip or hurt my neck or back or something more serious than my ankle. And also thankfully it’s not broken. This morning’s x-ray shows some torn ligaments that should heal in a few weeks. 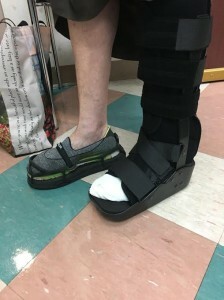 Back in 2013 when I broke my other ankle and leg in a car wreck, I had two surgeries, wore a cast, then a walking boot. The walking boot was uncomfortable because it made my stride uneven, I didn’t have any safe, flat shoes that were high enough. Now they ‘ve got this cool new thing called an “Even Up” that you put on the bottom of your shoe to make your feet at even heights. What a difference that makes! I posted lots of pictures on Facebook from the event at Square Books Friday night, and also at Lemuria in Jackson on Saturday, so I’ll only repost one here. 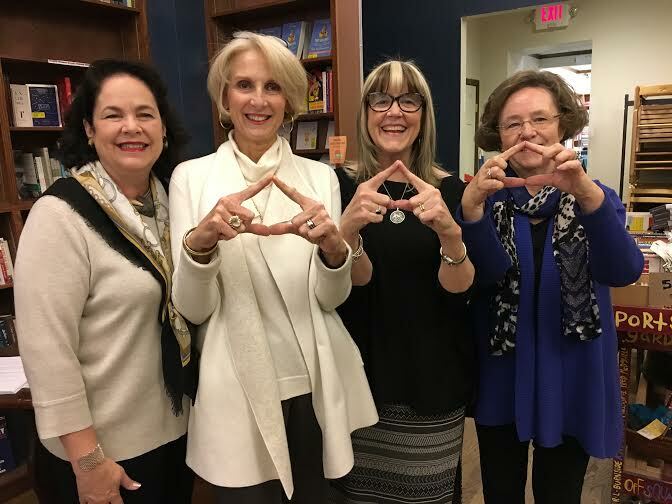 It was so much fun seeing several of my Tri Delt sorority sisters in Oxford (including my “big sister” whom I hadn’t seen since my wedding in 1970!) and several high school classmates and other friends and family in Jackson. Great reception at both Mississippi events. Thanks to everyone who helped organize them, and to everyone who came to the readings and bought books! Next event for Tangles and Plaques is a salon in a private home here in Memphis, then on to WordsWorth Books in Little Rock, Arkansas on the 18th. What a ride!